Do you want to keep Google Happy? Then follow our top 7 SEO principles for optimizing your website and rank well in Google. One of the leading reasons why new websites (or even seasoned ones) fail to thrive in the competitive virtual world of the internet is that website owners do not place emphasis on the fundamental principles that can make your website worthy to stay in the World Wide Web. SEO Syracuse can help you change that. Optimizing your website is very important from the start. Search Engine Requirement – these requirements are very fundamental. With the widespread use of internet, simple business plans and functionality features are outdated, there are new requirements that you have to focus and these are: marketing for social engine, user experience design and usability, marketing using social media, accessibility, content and being mobile all the time. The use of consistent domain name is another fundamental principle to keep in mind. In general it is most suitable to avoid duplicating URLs for the same page. Search engines are more often than not smart enough to find the duplicates and try to decide the “official” version. However, do not rely on this feature and it is best to have single yet unambiguous URL for your page. In most cases there are at least two ways to get to your home page. Both will display the same content. The URL of the domain, e.g. www.mywebsite.com. The “www” is optional. The full URL of the home page, e.g. www.mywebsite.com/index.html or www.mywebsite.com/home.php, etc. The exact URL will depend on your setup. To test this, enter your domain name into your browser’s address bar (e.g. http://mywebsite.com) and hit Enter. If the URL automatically changes to include the “www” then you’re already set up. Or enter http://www.mywebsite.com hit Enter and the URL changes to http://mywebsite.com (if you don’t want the www). You should have one of the above examples, your page should always redirect or search engines could see both pages as 2 sites this means duplicate content and that’s bad for your SEO. Also people linking to your site would link to either the www version or the non www version so your inbound links would be diluted and split between the 2 versions of your URL. When you redirect one to the other all the links pointing to the redirected URL will be redirected as well. This means no inbound links would not be diluted. Below is the code to fix the problem. Add the following lines to your .htaccess file remember to change mywebsite.com to your own domain. If you not sure what to do get in touch with your hosting provider and ask them to do it for you. Optimizing the website for multiple social media platforms. Various social media platforms are utilized for increasing rankings and optimizing website. These days, it is more significant to make sure that the contents can be embedded across several social media channels and not just on your own site. Through the social media, sharing is made easy and accessible to lots of social media users. Each new page you build make sure you have the correct layout. The page title or title tag is probably the most important tag on your page. 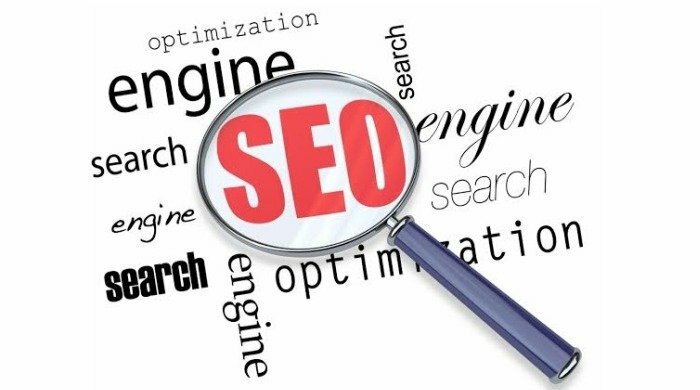 It should be what the page is about, have your main keyword phrase as close to the beginning as you can get it and no more than 55 to 60 characters. The Title is also displayed in search results. Just like a book title your page title gives the readers some idea what the page is about. Use a unique title for each page of your site. Never duplicate title tags. The description tag is displayed just below the title tag in search results. You can use the description tag to tell readers a little more about the page, its a description of what the page is about. Place important keywords in the description tag and try to keep it under 156 characters. Have only one H1 tag on each page. Its the main heading for the page and should catch your readers attention. The other heading tags should then be used in the correct order to divide the content up on the page. Try to have keywords in the tags but never repeat those keywords in another tag on the same page, this will over optimise the keyword. H1 is the most important and H6 least important. You can use H2 to H6 tags more than once on the same page. You don’t have to use all the heading tags if you do not have enough content. Rename images with a nice long keyword rich keyword phrase that you would like the page to rank for. Also use your image alt tag. Place keyword phrases in image alt tags. Try where possible to link to other pages on your site. Its good SEO practice to place links in your content to other pages on your site. This will help users find relevant content and bots find and index pages. Creating unique and engaging contents must be done on regular basis. People search the internet to find out things they don’t know. If you have lots of new fresh good quality unique content on regular basis, more and more readers will be attracted to your site. Your rankings will also go up driving more web traffic to your site as more and more of your web pages appear in search results. Content is King remember this. If you want the page to rank high you need content and plenty of it. Have at lease 1000 words on a page more is better. Website images must be optimized and relevant to the content. The mantra that an image is worth a thousand words still holds true in a website. It is like show rather than tell – an effective way to communicate. Readers want to navigate a web page easily, conveniently, hassle-free and fast. They want to find what they looking for quickly. When you create a website you should take this into account. The page must load fast and navigation should be easily seen. You want to give your readers a good experience when they visit your website.